Technology is creating new opportunities to incorporate alternative energy resources and new energy services in ways that provide environmental benefits and make economic sense. From harnessing the power of the sun to driving electric, North Carolina’s electric cooperatives are delivering exciting energy solutions to their members and communities. Community solar offers a low-cost, low-risk way for cooperative members to benefit from solar technology. This collective solar effort provides a more affordable alternative to the traditional process of purchasing permanently installed solar equipment, and the shared solar model allows members to work together for the common good. Eleven North Carolina electric cooperatives have installed 18 community solar farms totaling 2 megawatts (2,050 kilowatts) on sites well suited for generating solar power. In most cases, co-op members purchase energy rights on solar panels in return for a credit on their monthly electric bill. Contact your local cooperative for more information about the community solar options available in your area. Energy storage, or capturing energy from a source and storing it for use when its needed, is bringing cooperatives new opportunities to make their systems more resilient and efficient, which therefore has the potential to bring cost savings to cooperative members. 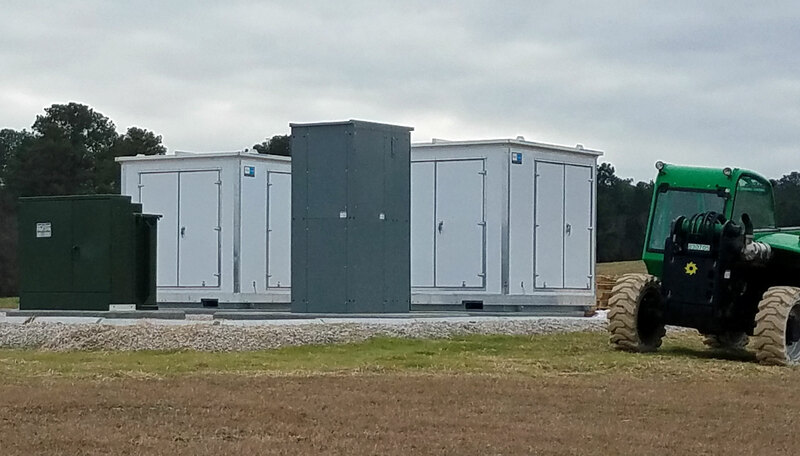 Batteries are an important part of North Carolina’s electric cooperatives’ two microgrid projects. Their application in these living laboratories has led to the discovery of future uses for the technology. Cooperatives are currently considering ways to incorporate energy storage within their infrastructure and with member partners.